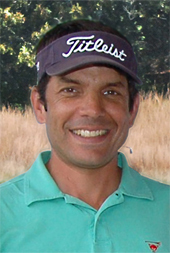 Joe is a Certified PGA Golf Instructor and has been teaching for over 12 years. He has honed his teaching skills by working with many of top instructors in the game including Jim McLean, Fred Griffin and Ben Doyle. After playing at Saint John’s Prep, he went on to play at North Carolina State University. He has served as an Assistant Golf Professional at Salem Country Club, Essex Country Club and Myopia Hunt Club. Joe currently is the Head Varsity Golf Coach at Saint John’s Prep, golf instructor at MIT and still competes and is ranked among the top playing PGA Pros in New England.